What Does The Your Handbag Say About You? It has never been easier or more fun to find the right handbag… one that that gives the right message about you. Handbags are very personal choice, i.e. look and feel tends to be more important than practical features. The quality matters of course, as does the size, security and other practical features. Still, most people buy a handbag because they love it, not because it is the best buy. The most restricting factor is usually the price as the price of handbags varies greatly. The price ranges from unbelievable cheap to astronomically expensive. The bottom line is that look, feel, and price are most likely to affect your handbag buying decision. Not all handbags are the same. There are different types of handbags available and most of us know beforehand what type of bag we are looking for. For example, if we are looking for big bag for everyday use or a clutch for formal evening occasions. B for Bag has created few groups of handbags to make your search easier. The type of handbag we use does say something about us. Like people with diaper bags are almost guaranteed to be parents (or child minders). While messenger bags tends to be more casual than traditional handbags… but does it mean that the owner of messenger bag is less formal, even younger than the traditional handbag user? No, it is not as simple as that. 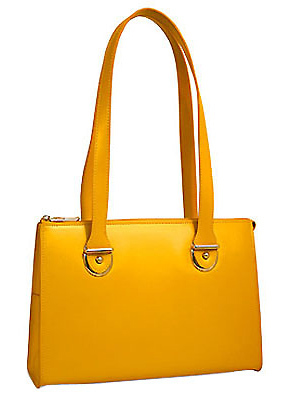 There is such a great variety of handbags within each category, e.g. there are casual everyday messenger bags, as well as stylish messengers that fit almost any occasion. Let's face it, most of us own a bag (or few) in most categories. So What Does Our Handbag Say About Us? Pretty much what you want it to say. Are you the trendy casual urban type? There are handbags that fit that image perfectly. Or are you a stylish well-off professional? Or busy mommy with toddler in tow? Or practical organized student or professional? Again, there are handbags for all that. 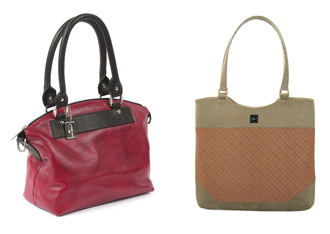 The main thing is to have the confidence to choose the right handbag for your style and personality. Everyone should have at least one classic handbag that fits perfectly for all occasion (read one color, traditional look, good quality). Everyone should also own at least one bag solely chosen because it is fun and colorful... just like you. Where To Buy The Right Handbag? B for Bag helps you to find the Right Handbag for you. And our price comparison will find you the best price our retailers offer.